The masters in photography and related media emphasizes a broad interpretation of photography as a conceptual art form, with the intention of inspiring and nurturing the individuality of each student as a creative, productive artist. This photography masters degree program encourages graduate study in photography and related media as a means to personal, aesthetic, intellectual, and career development. The curriculum provides a focus of study that is continually sensitive to the needs of each student, building upon the strengths each individual brings to the program. Successful completion of the program enables students to seek careers in fields including education, museum or gallery work, or as self-employed visual artists. Distribution of work within these guidelines is subject to modification based upon the candidate’s background, abilities, and interests. Modifications in this prescribed program thereafter must be approved and recorded. Elective courses are available in areas such as, but not limited to, video, printmaking, painting, sculpture, communication design, crafts, bookmaking, graphic design, new media, computer graphics, art history, and archival preservation and conservation. A complete list of graduate electives is available through the student's adviser. There are also graduate electives offered throughout the university. Students also have opportunities to enhance their studies through independent studies and internships. Matriculation from the MFA program is obtained when the student has completed and mounted their graduate thesis exhibition, successfully passed their thesis defense, and submitted their thesis publication. The thesis must be an original body of work appropriate to the major commitment of the degree. The thesis publication is documentation of the thesis project, which must be submitted in digital form. It must contain an extended artist statement and a presentation of the majority of thesis artwork. The thesis defense is a public presentation made by the student, in explanation of thesis project, creative research, and exhibition. The MFA program in photography and related media is accredited by the National Association of Schools of Art and Design (NASAD). LuLu Meng's performative installation, "Parts of a Whole," explores the relationship between the individual and the collective. Six RIT graduate programs are among the best in the nation, with several on the rise according to U.S. News & World Report’s 2019 edition of America’s Best Graduate Schools. This fall semester course presents an overview of the multiple, intersecting histories and aesthetic practices of photography, integrating fine art, documentary, photojournalism, and commercial and editorial photography within a broader cultural discussion. Beginning with the announcement of photography in 1839, we will study technological advancements, photographers' oeuvres, and cultural and artistic movements during the first 100 years of photography. 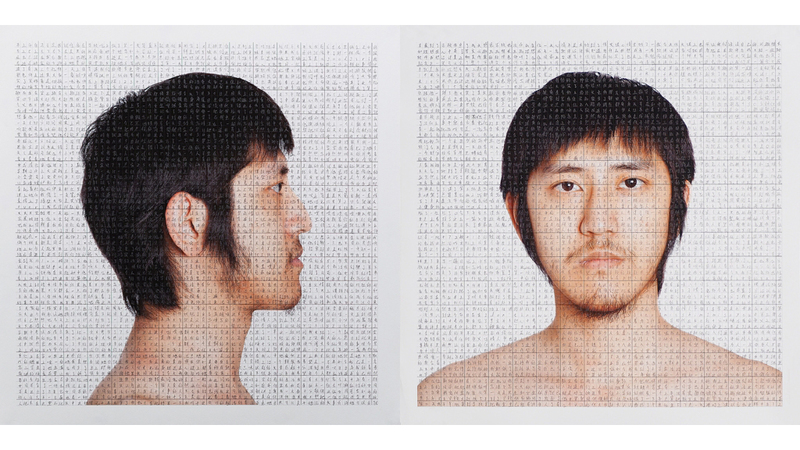 This spring semester course focuses on conceptual developments within the significant themes of the multiple, intersecting histories and aesthetic practices of photography. Integrating fine art, documentary, photojournalism, and commercial and editorial photography, we will consider photographic genres and movements within a broader cultural framework. The principle critique class for students in the MFA photography and related media program. Each student will establish a working methodology, which allows for experimentation. Students are expected to undertake a conceptually creative and intellectually challenging investigation into their own work. Through a critical engagement with peers, each student develops a body of new work and an artist’s statement. At the end of the semester all students participate in the MFA Work Share event. This course is the second in the sequence of principle critique classes for students in the MFA photography and related media program. Having established a working methodology in Studio Core I, students will continue to experiment and produce a significant body of work through a critical engagement with peers. The focus of the course will lead to half-candidacy conducted through a formal MFA faculty review of the work. This course will outline the policies and procedures required for the MFA thesis defense and thesis publication for this program of study. Throughout the course students will hone and refine their research. They will begin the development of the thesis defense presentation and the creation of the thesis publication. Class presentations will include methods of scholarly writing, research for the thesis defense as well as editing and sequencing practice for the creation of the thesis publication work. 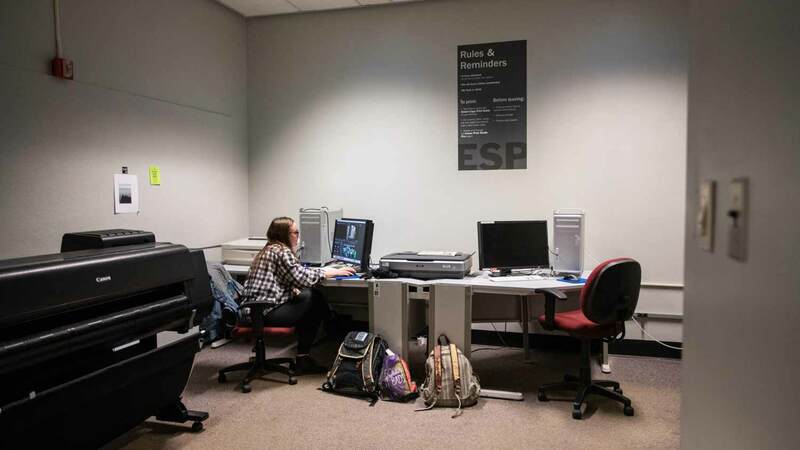 Research Core II is the second term of a year-long required course which supports the School of Photographic Arts MFA students in the completion of the thesis publication and thesis defense. Supported by the research tools and resources outlined in Research Core I, students will conduct mock defenses in preparation for their thesis defense presentation. In this course the students will complete all components of the thesis publication. At the conclusion of the course, students will submit their thesis publication to the Wallace Center, thus completing a part of their graduate thesis requirements. This course prepares the advanced student to enter a career in the arts. It covers practical information related to the idea of professional practice such as resume writing, grant writing, writing an artist’s statement and researching exhibition spaces and other opportunities. It addresses the role of the artist in society including but not limited to: interviews, artist writings, lectures and artists talks with artists and arts professionals. Students will learn to create a professional application packet in this course. Students will begin the process of entering the professional community of artists through group and individual projects, assignments and lectures throughout the semester. The thesis work produced within this course represents the capstone project of the MFA degree in Imaging Arts. 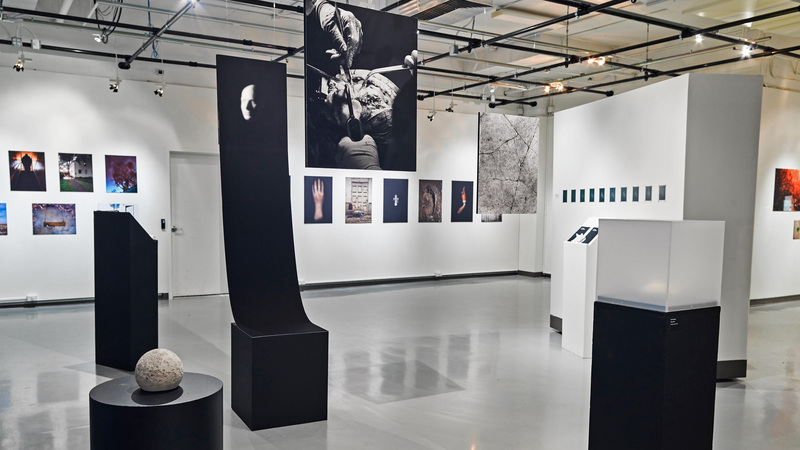 The completion of the thesis exhibition in its entirety; artwork, artist’s statements, extended statements for thesis publication and installation of exhibition, are the main focus of this course. Submit a personal statement of educational objectives that outlines the selection of RIT for the MFA degree and the candidate’s professional goals they wish to achieve. Submit an artist statement explaining the intention behind the portfolio submitted. Optional participation in an interview. Applicants who are capable of graduate level academic work, as well as artistic visual expression, and who demonstrate an interest in the exploration of new artistic ideas and experiences will be recommended. Eleven full-time faculty members, all critically regarded for their artistic work in exhibition and publication, contribute to the MFA program. The faculty brings individual expertise and dedication to their work with graduate students, encouraging intellectual inquiry of contemporary art-making practices and aesthetics. 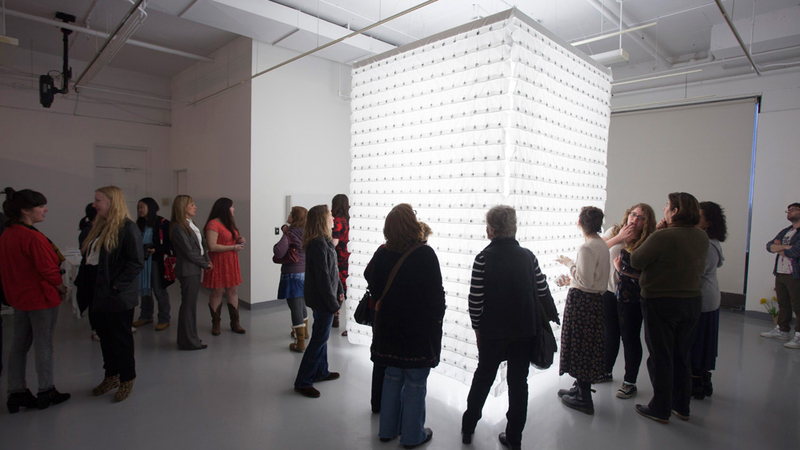 The MFA program is supported by a staff of 30 full-time faculty members from the School of Art and the School of Photographic Arts and Sciences; faculty from the art history department; adjunct faculty members from George Eastman Museum; as well as noted regional, national, and international practitioners, critics, and historians. To learn about MFA faculty, facilities, the equipment cage, MFA events, and curriculum, please visit each school's website. All accepted applicants are awarded a university scholarship. Level of scholarship support is based on merit of application materials. Concurrently, the MFA program faculty grants graduate assistantships to accepted applicants. Assistantships include a variety of positions, including team teaching introductory photography courses, faculty assistantships in the classroom and with research projects, gallery management, and working in an archive. Upon acceptance into the MFA program, applicants are notified by the MFA director as to level of support for both the university scholarship and the graduate assistantship. Both scholarship and assistantship are renewable in the second year of graduate study if students remain in good standing with the university. Graduate-level course work completed prior to admission should be submitted for approval upon entrance into the program. Up to 12 semester hours of graduate work with a minimum grade of a B (3.0) or higher is transferable toward the degree, with the approval of the graduate director. The average of all grades for graduate credit taken at the university must be at least a B (3.0) to qualify for the degree. University policy requires that graduate programs be completed within seven years of the student's initial registration for courses in the program. 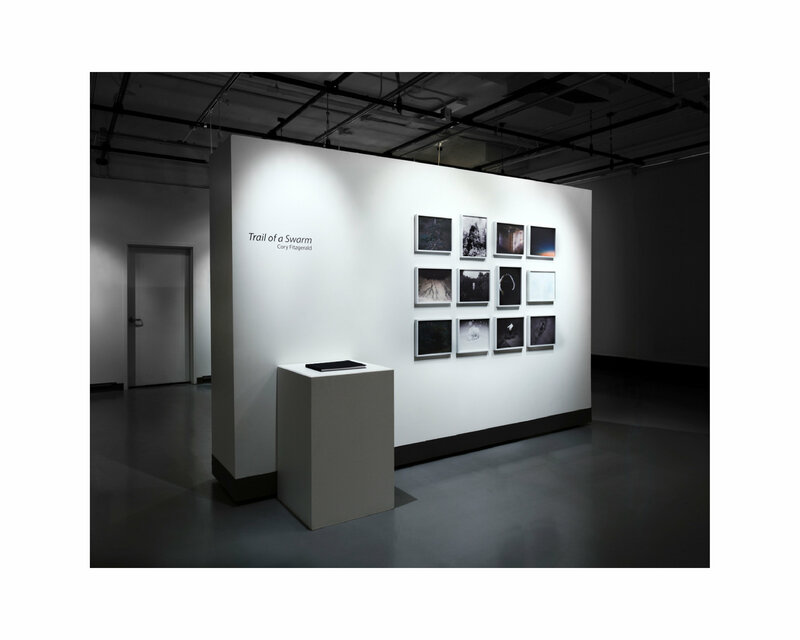 The School of Photographic Arts and Sciences reserves the right to retain digital copies of original art work from a student’s MFA thesis show for inclusion in the MFA Collection, to be used for educational, promotional, and exhibition purposes. Graduates must also submit a copy of the thesis publication to the school's MFA archive. William Harris Gallery supports the exhibition of graduate thesis work, student work, and the works of contemporary imagemakers. It maintains a calendar of exhibitions, public lectures, and receptions. Importantly, it also provides real world experience for interested graduate students where they learn firsthand about gallery operations, installation, and communications as a gallery manager or staff member.